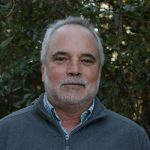 Todd Miller is the founder and executive director of the North Carolina Coastal Federation, a nonprofit working for a healthier North Carolina coast. A coastal North Carolina native from Carteret County, it was here in 1982 that Miller found his passion—working to keep the coast a great place to live, work and play. Forming partnerships and rallying volunteers, Miller grew the organization from a one-man (and a dog) venture in a back room of his house to three-offices covering the North Carolina coast. With 30+ staffers and a multi-million dollar budget targeted for educating the public, advocating for a clean coast and restoring water quality and shorelines, the Coastal Federation takes on projects, and partners with others in hundreds of endeavors that influence these priorities. A graduate of University of North Carolina at Chapel Hill, from which he holds undergraduate and master’s degrees. Along with numerous other awards and recognitions, Miller is a founding board member of Restore America Estuaries and currently serves on the Board of Visitors for the UNC Institute for the Environment and as a board member on the Policy Committee for the Albemarle-Pamlico Estuary Partnership.